EXCLUSIVE AT NET-A-PORTER.COM. 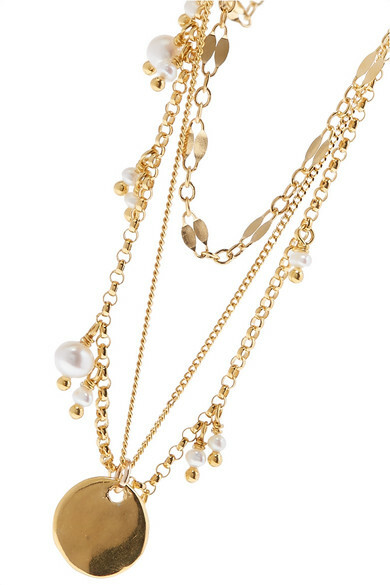 Chan Luu's designs are inspired by the founder's travels around the world and love of traditional handmade jewelry. 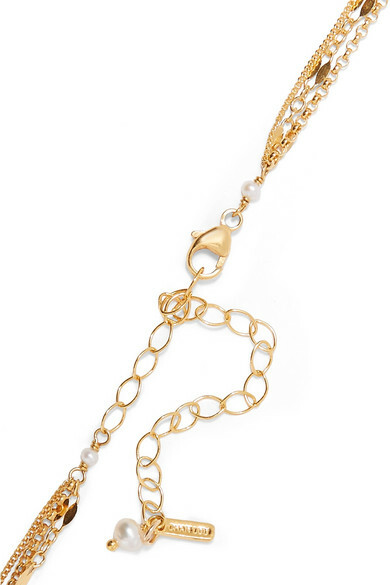 Cast from gold-plated silver, this layered style is strung with three delicate chains featuring clusters of lustrous pearls and a single circular pendant. Adjust the length to suit all necklines. 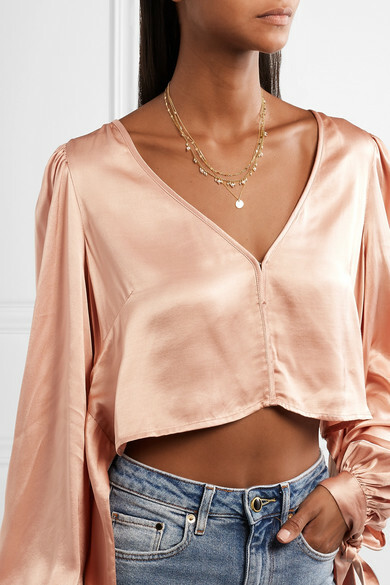 Shown here with: alice McCALL Top.